On January 30, China’s Taiwan Affairs Office spokesman criticized the Taiwanese Democratic Progressive Party government for placing “unreasonable restrictions” on the right to vote and run for office for Chinese spouses in Taiwan. This comment sparked laughter from Taiwanese netizens, calling it “a good joke”. Taiwanese netizens got a good laugh when China's Taiwan Affairs Office spokesman Ma Xiaoguang on Wednesday (Jan. 30) criticized Taiwan's Democratic Progressive Party (DPP) government for placing "unreasonable restrictions" on the right to vote and run for office. At a press conference on Wednesday, when asked to respond to President Tsai Ing-wen's (蔡英文) statement that some improvements have been made on issues related to Chinese spouses in Taiwan, Ma said the DPP imposes many unreasonable and even inhumane restrictions on the rights and interests of Chinese spouses, "mainland spouses' right to work, residence, and even the right to vote and run for office are all subject to unreasonable restrictions." 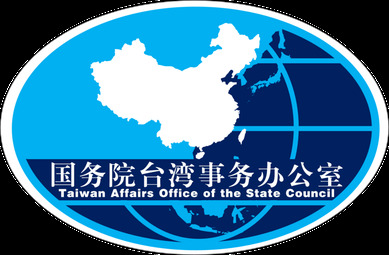 According to Taiwanese law, Chinese spouses of Taiwanese citizens must wait six to eight years to complete the naturalization process and receive their Taiwan ID. Four months after they have received their Taiwan ID, they are eligible to vote in Taiwan's elections. As for running for office, Chinese spouses must live Taiwan for 10 years after marriage to a Taiwanese spouse to be eligible to run for public office. Last year, Shi Xueyan (史雪燕), a native of Hebei Province, China, made an unsuccessful bid for Nantou County Councilor as member of the Kuomintang (KMT). Shi immigrated to Taiwan in 1999 when she married a Taiwanese man. "Here's a good joke, Communist Party officials talk about the right to vote." "What qualifications does China have to make make carping comments on this? What nonsense is this? The people of Taiwan make their own decisions." "The Taiwanese people hope to soon see the General Secretary of China [Xi Jinping] vote and run for office, and that the people can vote directly." "Let the Taiwan Affairs Office bring back the seeds of democracy to China, thank you." "China criticizes the human rights of other countries, this is big news in the world."